Archoil AR8300 grease is composed of a dozen nano complex synergistic elements which have been under development for 10 years. The elements are selected for their characteristics, extreme severe loads, and the lowest coefficient of friction in tribology at 0.003. AR8300 forms a ceramic surface tested 5 times harder than the host alloy. This synergistic combination is attracted to friction heat sources and restores worn surface friction zones. Archoil AR8300 grease is formulated with SiO2, Al203, Fe203, MnO, MgO, CaO, Na2O, and complementary proprietary elements. The undiluted base oil is the latest advancement in synthetic oil technology, Durasyn 148, combined with fumed silica as thickener, tested as the best delivery combination in severe environments for the complex nanoceramic technology. Archoil AR8300 grease is a specialty grease surpassing the performance of the most expensive greases in the market including Krytox. When used on ball-and-socket joints, uniballs, boom axles, curved rail track, wheel flanges and other heavy load areas, it doubles operational service. AR8300 is designed for the severest lubrication challenges, as known in the maritime environment. 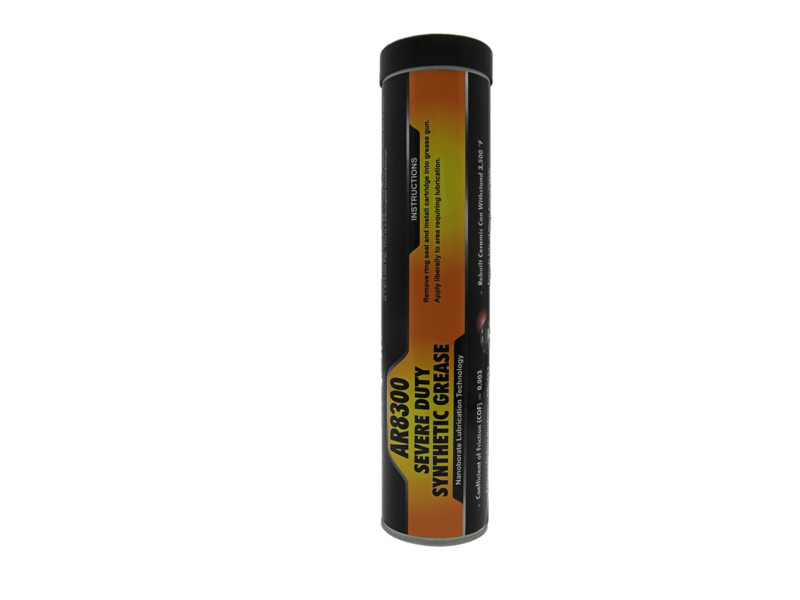 Store Archoil AR8300 in dry conditions. Archoil AR8300 can be stored for 5 years. Keep opened packaging firmly closed. Store Archoil AR8300 at temperatures between 5° C and 40° C.
Archoil AR8300 is available in 400gr tubes, 5kg pails.